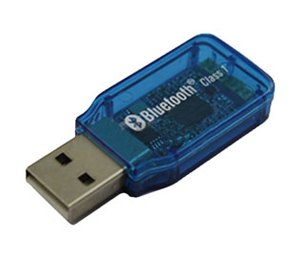 A USB Bluetooth dongle such as this is ideal if your computer does not have internal Bluetooth or if you have a device with an USB port which you want to Bluetooth enable. If you are using our serial Bluetooth adapters and your computer does not have internal Bluetooth we recommend using this USB Bluetooth dongle. This will allow you to setup a wireless communication link between your computer and the serial Bluetooth adapter. Under perfect conditions this USB Bluetooth dongle has a communication range for up to 300 feet, however under normal conditions such as office spaces or industrial installations the communication range should be expected to be considerable shorter depending on the number obstructions and interference between the dongle and the remote device. 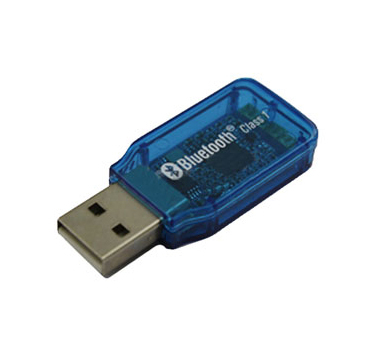 Besides communicating with our serial Bluetooth adapter this USB Bluetooth dongle can also be used for communicating with all other standard Bluetooth enabled devices such as printers, cell phones, smart phones and more.